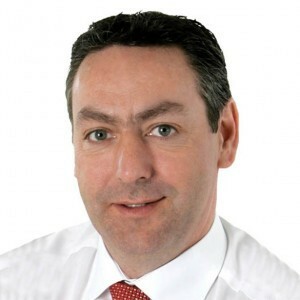 Fianna Fáil Spokesperson on Business, Enterprise & Innovation Billy Kelleher says insurance customers will be extremely frustrated to learn that three of the country’s main insurance companies made a combined profit of almost €200m in 2018. The story, which has been reported widely this morning, revealed that three of the top insurers here made huge profits last year, at a time when insurance customers are paying record premiums. Deputy Kelleher commented, “The figures reported today will no doubt frustrate and anger hard pressed insurance customers who are paying through the nose for cover. I along with my party colleagues have been highlighting the plight of small business across the country, which are now facing the prospect of significantly reducing their staffing levels or even close as a result of the high premiums they are being charged. Some are facing increases in excess of 300%. That is simply not sustainable. “The fact that these large insurers are making multi-million euro profits will be tough to swallow. “I fully support calls for drop in premiums. These insurers are back in the black and small and medium sized companies are struggling to remain viable having been hit with increased premium on top of increased premium. “The government has taken a back seat on this issue. It established the Cost of Insurance Working Group on foot of pressure from Fianna Fáil, but has failed to follow through on the recommendations. Now small businesses are paying the price while larger insurers record multi million euro profits. “Ministers D’arcy and Humphreys need to wake up to the serious situation that many businesses are finding themselves in and take action on the outstanding issues”.